New Volvo V90 Cross Country has finally reached showroom floors. Priced at Rs 60 lakh (ex-showroom, Delhi), the Volvo V90 Cross Country is the first luxury crossover station wagon to make it to India. The Volvo V90 CC is based largely on the S90 sedan that won the 2017 NDTV Design of the Year and Premium Car of the Year. 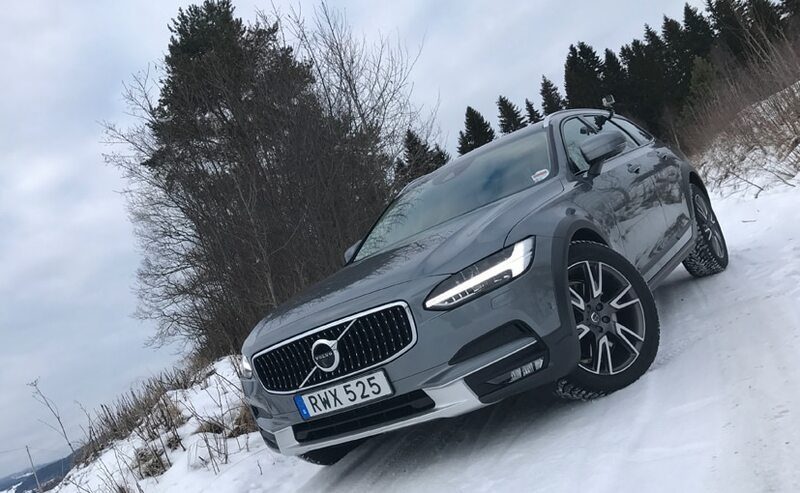 Expect the V90 Cross Country to usher in a new trend with the luxury car makers like Mercedes-Benz, BMW and Audi who might all consider similar offerings in the segment. The V90 Cross Country is essentially the kind of car that defines the term multi purpose vehicle. With its sleek and imposing proportions combined with that imposing grille and headlamp combination, to its trademark tail lamp design, the V90 CC looks does its job as a luxury vehicle. But, with its wagon back and tons of storage space it is also as (if not more) practical than an SUV without the bulkiness of it. The V90 Cross Country gets features like Parking assist, lane assist, Blind Spot Information System, City Safety, hill-start assist, hill-descent control and 7 airbags. It also gets a semi-autonomous driving feature - adaptive cruise control. Adaptive cruise control uses forward-looking radar to detect the speed and distance of the vehicle ahead of it, and drives the car accordingly.